Remember the last signal that I pointed out on my last HLHB Trend-Catcher update (sell at 1.3114)? Well, it turned out to be a winner! It closed at 1.3005 when the trailing top got hit. It bagged 109 pips. Booyeah! 1. Long at 1.3028. Closed on new crossover at 1.3037. +9 pips. 2. Short at 1.3037. Trailing stop hit at 1.3037. 0 pips. 3. Invalid signal since RSI did not cross 50. 4. Short at 1.3012. Trailing stop hit at 1.2961. +51 pips. 5. Invalid signal since RSI did not cross 50. 6. Short at 1.2931. Closed on new crossover at 1.2957. -26 pips. 7. Long at 1.2957. Closed on new crossover at 1.2944. -13 pips. 8. Short at 1.2944. Closed on new crossover at 1.2943. +1 pip. 9. Long at 1.2943. Closed on new crossover at 1.2922. -21 pips. Adding up the trades for the week though, the Trend-Catcher is only up one measly pip. But I’m still pretty happy that it caught the big drop at the start of the week caused by the political drama in Greece. 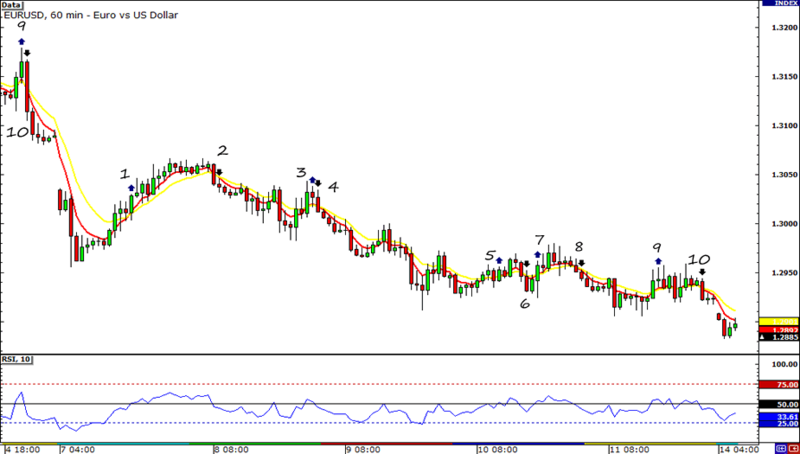 And besides, my GBP/USD trade is working out really well! 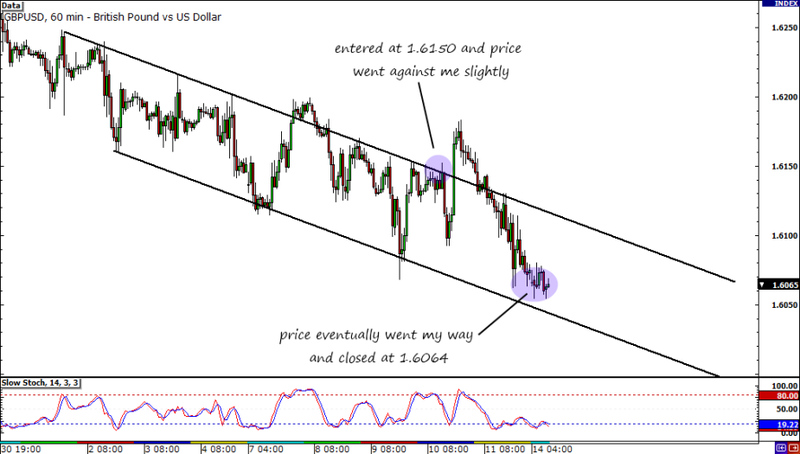 It was a rough ride for my GBP/USD trade but in the end, everything turned out very well. As you can see price spiked up slightly after I had entered. The move didn’t last long though as the bears quickly pushed price down before the week came to a close. Well, that’s it for my update. I plan to put up another trade idea some time in the next few days so stay tuned for that!